Big Wheel Building: Multisport vacation. Much of the year I choose to travel and recreate in some pretty stunning places. Utah, New Mexico, and Alaska, for the most part. Occasionally other destinations find their way in to the mix--California, Nevada, British Columbia, Montana, Wyoming, Arizona, etc... It's no secret that I've been smitten by the Mountain West for almost 20 years, and I can see little reason to change that. It suits me. But then when the holidays show their face each year I often get guilted or brow-beaten into heading back to the midwest to visit family. It is not a trip I would make voluntarily: having lived and explored there for the first 21 years of my life, I no longer derive joy from being there. 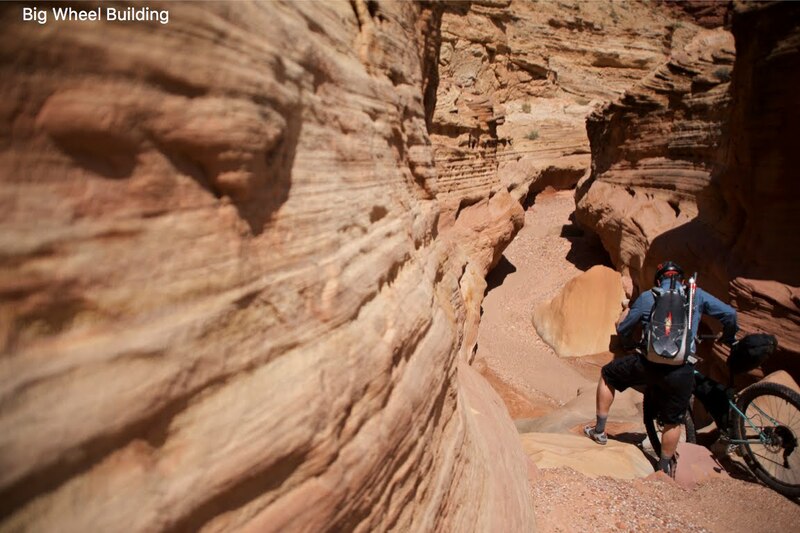 Too many people, too much traffic, too little diversity both culturally and recreationally. A cultural discussion in MI, MN, or WI often revolves around debating the merits of Ford vs. Chevy, or (this time of year) Polaris vs Yamaha. To be clear--I love seeing my family and catching up with old friends, I just want a change of venue. Two years ago we all met in Steamboat and skied, tubed, and ice skated during waking hours, then casually lounged around a condo and shot each other with rubber bands while intermittently grazing and napping. All agreed it was a great trip. Needs to happen again. Random Midwestern Musing: People still smoke? Unreal. Speechless, actually... Reminds me (stop me if you've heard this one...) of a phrase uttered by a good friend a few years ago: "The tragedy is not that smoking kills, but that it doesn't kill quickly enough...". Harsh words to some, I'd guess. In order to maintain some semblance of sanity while visiting there, I have no choice but to diversify my routine a bit. Of the 14 days we were gone, I ran on 12 of them (gasp! ), rode on 5, and skied once. I also think that Midwesterners were given a memo informing them that eating is soon to be an Olympic sport--we ate like there were scouts watching. Classic Michigan winter weather: a foot of snow falls, followed by an inch of rain that knocks down 97% of the snow and turns everything into a brown-ish skating rink, followed by another ~8" of snow atop that skating rink. Rinse and repeat through March. One of the highlights of this year's trip: skating virgin groomies in WI (at the tail end of an 8" snowfall) with two buds that were kind enough to supply gear and wait for me while using it. Beautiful evening cut short by a lack of glycogen--I'd squandered a pile of it running around Millennium Park in Chicago that afternoon. Ahhh--Minnesota. 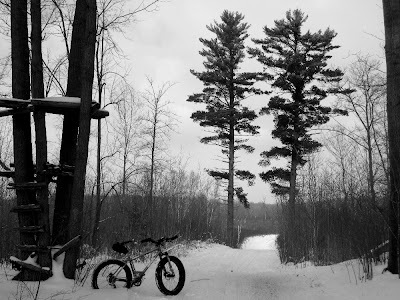 Gray skies, 80% humidity, and 1 degree with a sharp north wind, accentuated by a tree stand, some white pines, and a freshly groomed sledneck trail. Only way to improve this scene is to add a lake, a fish house, some Swisher Sweets and a buncha PBR's. That's livin'. 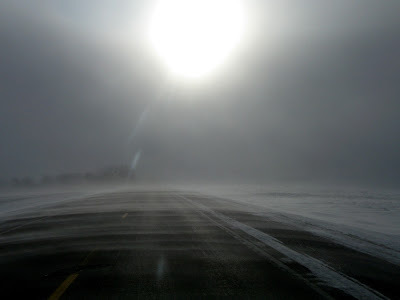 The last day's ride featured 3 degree temps, 40mph winds, and lotsa black ice. 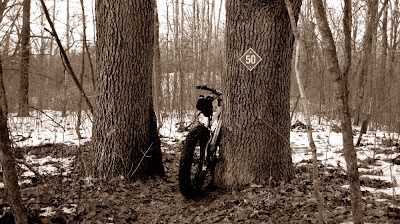 The sledneck trails had been drifted in, so I had no choice but to ride road. As awful as those conditions sound, the 'epicness' of the ride was it's saving grace: The only reason I managed to stay out for two hours was because the wind and cold kept it interesting. After the ride we ate, packed up, ate again, said our goodbyes, had a snack, then drove for the better part of two days through similar conditions to get back home. Did I mention above that the mountain west suits me a bit better? To all of those still living in the upper midwest, hats off to you for sticking it out. I simply couldn't do it anymore. You forgot one other sport involved...the sport of getting dressed to go outside in that kind of weather. 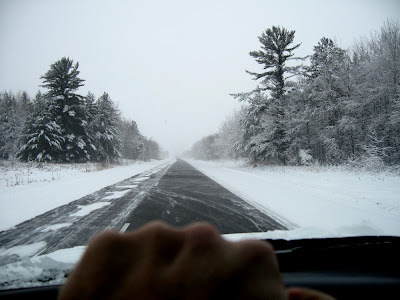 Jason from Salsa once ran me through his process for getting ready to ride in Wisconsin winter weather. I think he burns an equal amount of calories in that effort. Hell, until about 5 years ago, the inter-mountain Ford/Chevy debate used to be settled by whatever trophy got towed to the front yard. The bench seats regularly adorned porches, the fluids could be burned for heat, and the rusting hulks provided play areas for the progenies. At least the middle continent rednecks have the good sense to hide their treasures in ravines or sink holes. A combination of high scrap metal prices and a good corporate citizenship, like Haliburton, moving in went and gentrified the Grand Valley. Damn I miss those days! ummmm.... yeah. you forgot to stop by for some nebraska gravel road grindin' mike! dang... we get no love. glad the black ice didn't get 'cha.